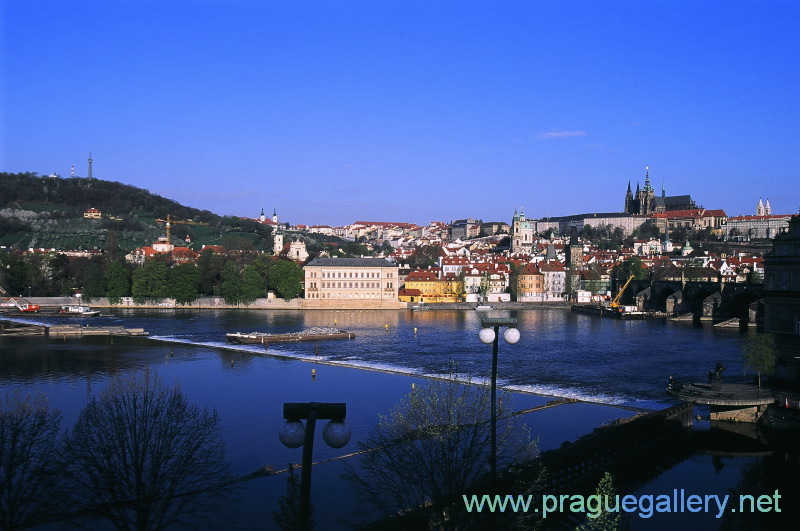 Behind the Vltava river, from left to right: The tall construction on top of Petrin hill is the Petrin Tower. The biggest building at the foot of the hill is the Lichtenstein Palace. The palace and the buildings in front that can be seen between the palace and Charles Bridge are on Kampa island. The island can be reached descending a staircase from Charles Bridge. On the right, behind the bridge is the Prague Castle. and St. Vitus cathedral.